Dr. Yashar graduated from the University of Southern California, School of Dentistry, where she was honored with several awards for academic excellence. Following her dental training, she completed a three-year post-graduate residency program in periodontics at the University of Illinois, where she served as Chief Resident. She is trained and licensed to deliver intravenous (IV) sedation for patient comfort. Dr. Yashar is a diplomat of the American Board of Periodontology. During her training, Dr. Yashar obtained a Master of Science (MS) degree in oral sciences from the University of Illinois where she conducted research in implant dentistry. Dr. Yashar is actively involved in numerous professional organizations, including the American Academy of Periodontology, the Academy of Osseointegration, the American Dental Association, and the Los Angeles Dental Society. 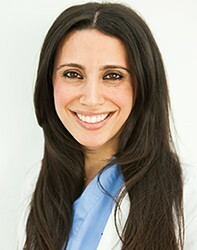 Dr. Yashar is currently a clinical assistant professor of Periodontics at USC, School of Dentistry. Dr. Yashar keeps up to date on many continuing educational classes, ensuring that her patients receive the most comprehensive and advanced dental care. In her spare time, she enjoys traveling, cultural arts, movies, and outdoor activities. Dr. Kaminsky graduated with honors from Fairleigh Dickinson University School of Dental Medicine and completed post-graduate education in Periodontics at Indiana University where he also received Masters Degree in Oral Biology. Dr. Kaminsky then completed a special Fellowship in Geriatric Medicine at U.C.L.A. He is now affiliated with the U.C.L.A. School of Dentistry and is an attending Periodontist at the Department of Veterans Affairs postgraduate Dental General Practice Residency program where he is responsible for both didactic and clinical advancement in periodontics and dental implants. He lectures on many topics including advanced treatment planning and on literature review of medical and dental journals. Dr. Kaminsky has been practicing for over 25 years and he has been in his current location since 1991. 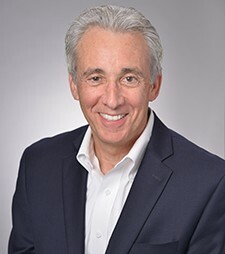 Since he began practicing periodontics and dental implants, Dr. Kaminsky kept up to date on many continuing educational classes, ensuring that his patients receive the most comprehensive and advanced dental care. He is a member of the Santa Barbara/Ventura County Dental Society, the American Dental Society, the American Academy of Periodontics and of O.K.U., the National Dental Honor Society.